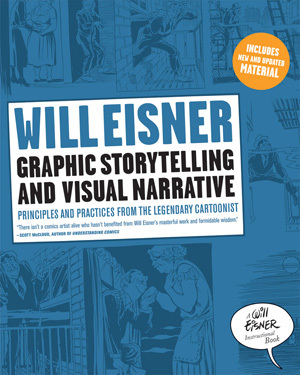 Graphic Storytelling and Visual Narrative. Buy at Amazon. 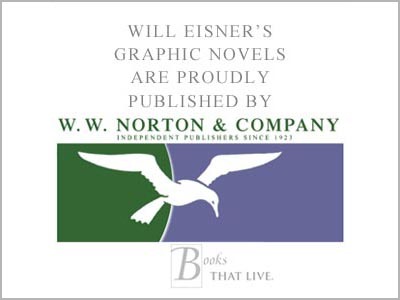 The second in the trilogy of 'how-to' books that also includes the seminal Comics and Sequential Art and Expressive Anatomy for Comics and Narrative. Graphic Storytelling and Visual Narrative discusses the principles of storytelling with the sophisticated combination of text and imagery. While comics are the main focus, Graphic Storytelling and Visual Narrative also recognizes the influence of film and electronic dissemination. Designed for the young professional as well as the seasoned practitioner, teacher, or serious fan. Scores of drawings by Will Eisner, Al Capp, Milton Caniff and many other leading artists in the field. This new edition is totally revised and enhanced for a new generation.